If you help care for an elderly relative or friend, you are probably concerned about them falling. It’s understandable; when an older person falls, there can be very serious complications. And one out of four older people falls each year. Hiring a caregiver can go a long way in protecting your loved one, as well as giving you some peace of mind. If you're wondering how to prevent falling, hiring a caregiver is great place to start. Your loved on may find that small daily tasks are starting to become challenging obstacles. Something as simple as going up a few steps or reaching for a cup in a cabinet are common situations that may lead to falls. If you or others close to your loved one do not have the time or experience to help, think about hiring a caregiver. Daily task assistance is one of the main duties of being a caregiver. They will help your loved one complete their tasks safely. Did you know that more than half of all falling incidents among the elderly happen at home? Caregivers consistently work with the elderly and those who have physical limitations. They are aware of the obvious and hidden falling risks throughout the home. A caregiver can help you assess where you might need grab bars, additional lighting, or more secure, slip-proof rugs. A caregiver can assist your loved one with safe, low-impact exercise. It’s a common misconception that activity leads to falling. The opposite is true. 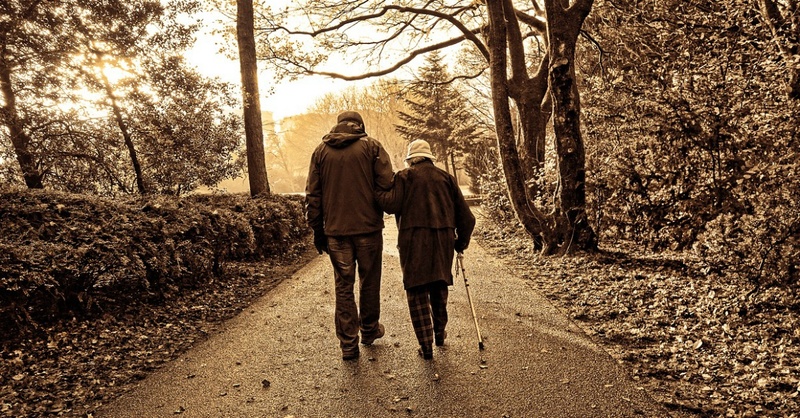 If an elderly person is encouraged to continue moving, it helps them maintain mobility and build strength. A body that is comfortable with movement is less prone to falls. A caregiver can help your loved one take up movement activities that are appropriate for their range of mobility. You might be nervous to encourage your loved one to get up and move, but an experienced caregiver can help them take on activities safely. If they are not used to much activity, even simple walks to the backyard throughout the day can help them build their strength. A caregiver can ensure they get that movement. Experienced caregivers are familiar with a range of physical impairments and chronic conditions. Some of those conditions make falling a greater risk. You may have talked to a doctor about medication side effects and how to help your loved one get more active, but it can be intimidating to know how to help. That is just one of the reasons caregivers are so valuable. They are familiar and comfortable with assisting people with limitations. They are better equipped to spot signs of fatigue or discomfort, and they can keep you informed of any changes, improvements or concerns with your loved one. Medications are another common fall risk. If you don’t know what to look for, you might not be aware of how a medication is affecting your loved one. A caregiver who works with your loved one consistently may be more qualified to spot the effects. Falling among the elderly is scary. A caregiver can give you - and your loved one - the peace of mind that they can continue living their life with professional assistance at their side.